The Sunpak 8001UT tripod is the perfect solution for the needs of any amateur shutter bug with the desire to take better pictures. It is the perfect companion for entry level photographers who need a steady platform using the latest DSLR cameras. 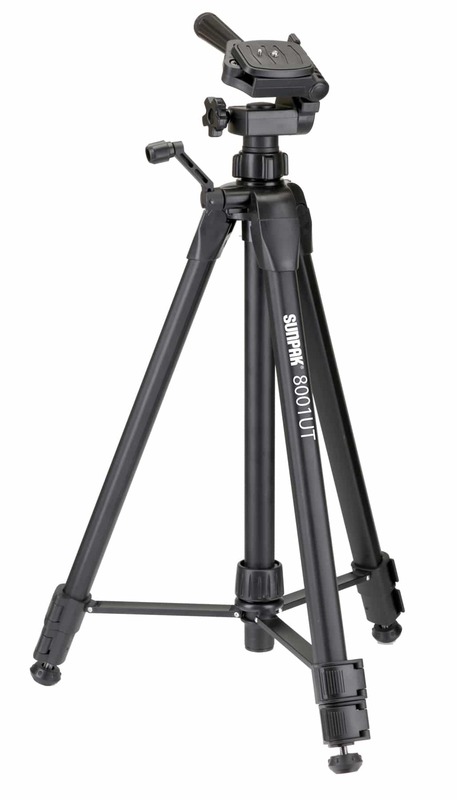 This is an ultra-light, medium duty tripod that is portable and affordable. It has great features such as all aluminum, three section legs with flip lever leg locks and retractable leg spikes with rubber feet. The three-way pan head includes a quick release plate for accurate shots.